Intellect vs. emotion, thoughts and feelings are world apart BUT dissonance between them can be overcome. 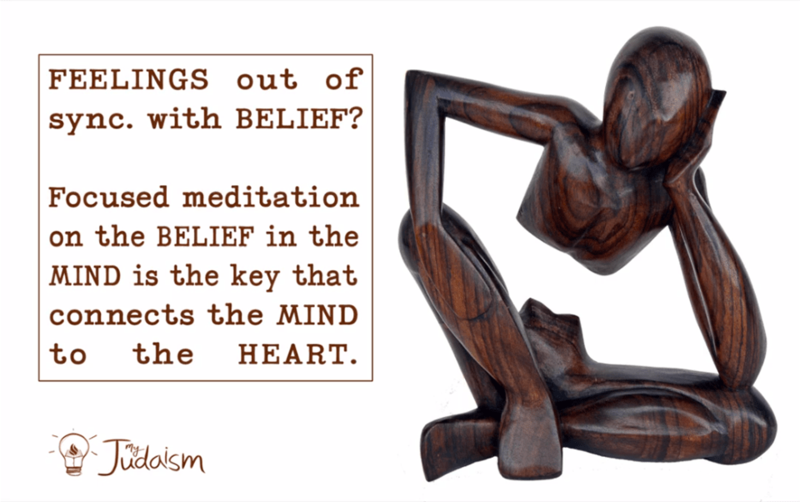 Call it meditation or mindful contemplation, intentional focused thought about the ideas we know/believe to be true can slowly build the bridge that will allow them to flow from the mind into the heart. This is the essence of prayer!